Beyond military defense, Fort Moultrie tells the story of Sullivan’s Island’s role as an entry point and quarantine station for West Africans who were brought to the Carolina colony during the Middle Passage. Historians estimate that slave ships brought 200,000 to 360,000 West Africans into the Charleston harbor until the international slave trade was abolished in 1808. 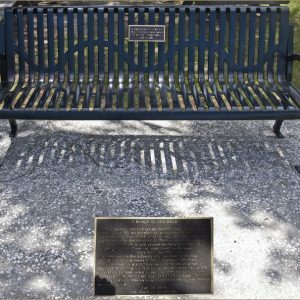 Author Toni Morrison led an effort to place a “Bench by the Road” to memorialize this history when no monuments or museums marked it.